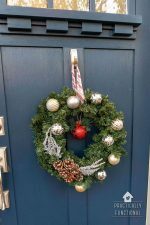 I love making wreaths for our front door for every season and holiday, especially now that the front door is painted and looking so pretty! I’ve made winter greenery wreaths before, but I’ve never made one specifically for Christmas, so this year I decided to make an ornament wreath! 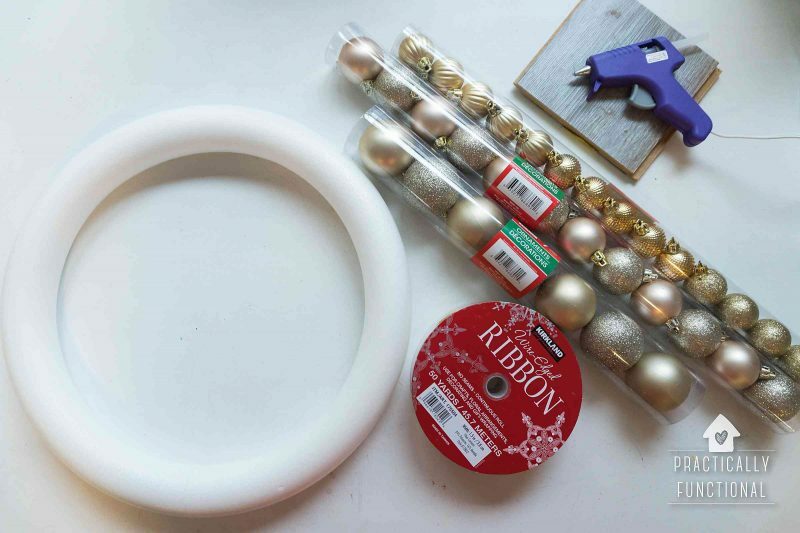 Today I’m going to show you how to make an ornament wreath! 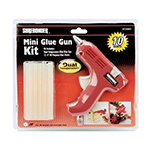 It’s such a simple project, and you can get all the supplies you need at the dollar store, which makes it pretty budget-friendly too. 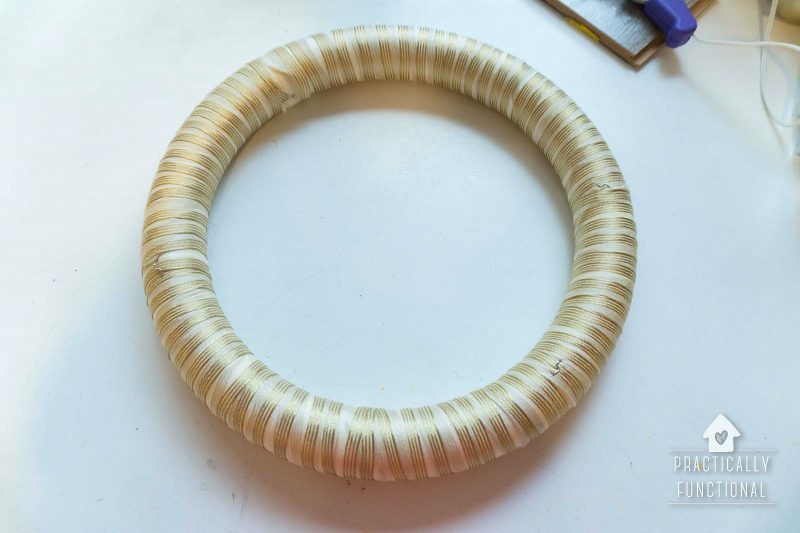 If you love dollar store crafts, check out this DIY lighted wreath you can make with only things from the dollar store! 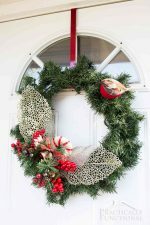 Start by wrapping your wreath form in a colored ribbon. 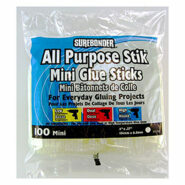 Hot glue one end of the ribbon to the form, wrap it around and around until the entire form is covered, then hot glue the other end to secure it. 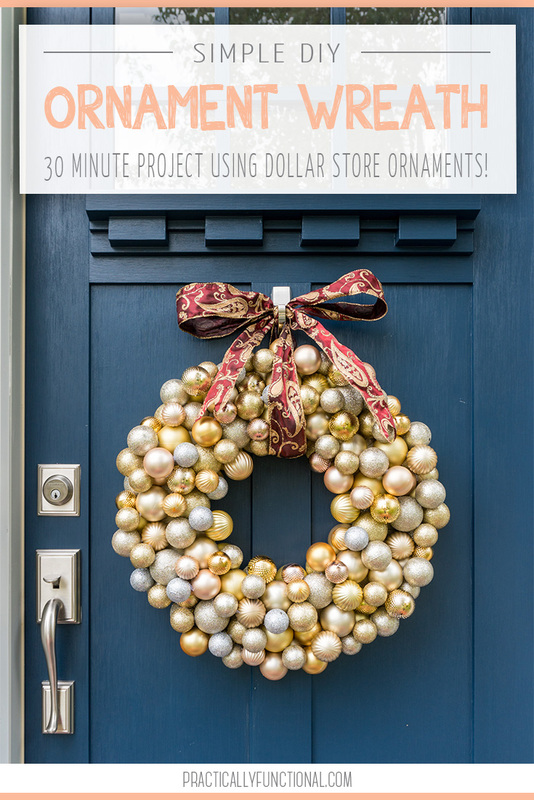 You can skip this step if you don’t mind the white form showing through in the small gaps between ornaments, but it’s such a simple step, plus it’s a great way to add a little extra color to your wreath. Now it’s time to attach the ornaments! 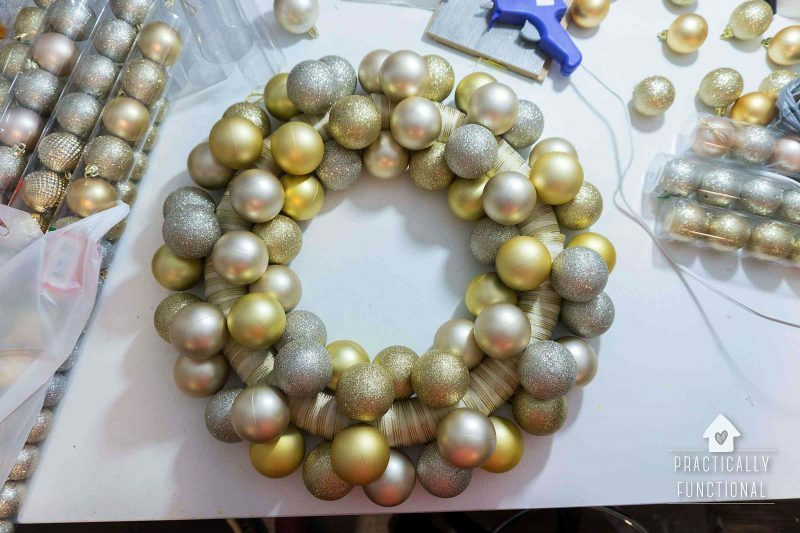 Start with the largest ornament and hot glue them around the inside of the wreath form. 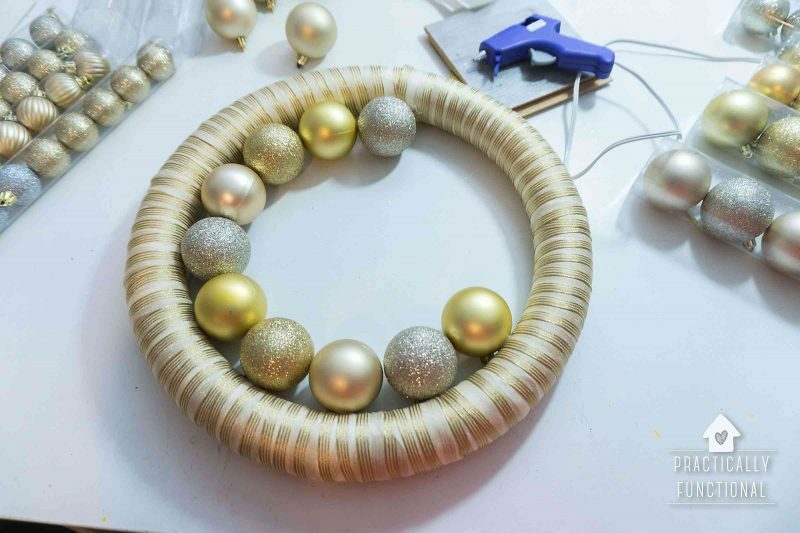 Make sure that your wreath form is laying flat on your work surface for this part, and if you want to hide the ornament tops, just rotate the ornaments so that the tops are pointed down toward the table as you attach them to the wreath form (this will be the back of your wreath when it’s finished). 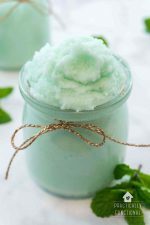 Don’t worry about the order of the colors; it’s going to get all mixed up by the end of the project, so it’s ok if two of the same color are next to each other! 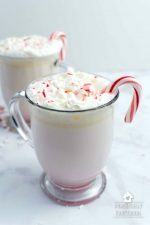 Also, your wreath form probably isn’t exactly the size of the ornaments, so when you get close to the end you may end up with a small gap or two between some ornaments. This is totally fine! It will all get covered up in the end and you won’t even be able to tell! 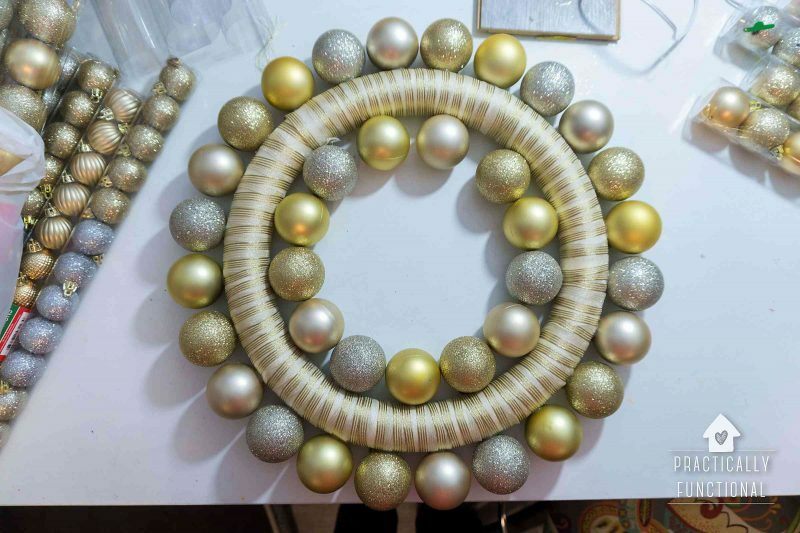 The next step is to cover the outside of the wreath form with large ornaments (the same size as the ones you used for the inside of the wreath). 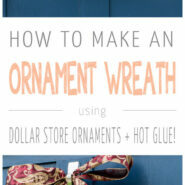 Follow the same steps to attach the ornaments, tops pointing down, around the outside of the wreath. 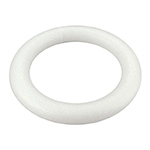 When you’re finished with these two rows, the back of your wreath will look like this. 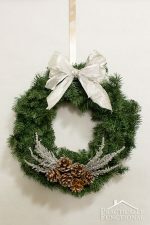 Flip your wreath back over so that the front side is facing up. The next “layer” of ornaments can be large or medium sized ornaments. 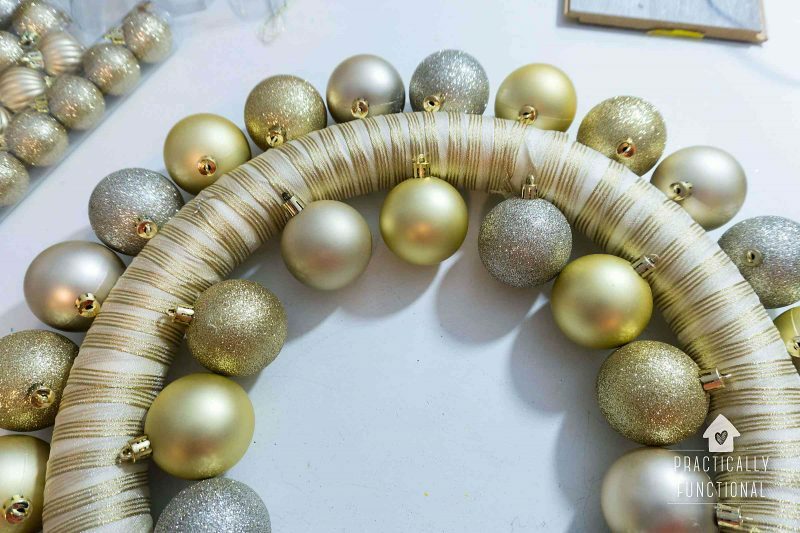 Attach the ornaments to the wreath form in between each of the outer row ornaments, then do a second row of ornaments in between each of the inner row of ornaments. 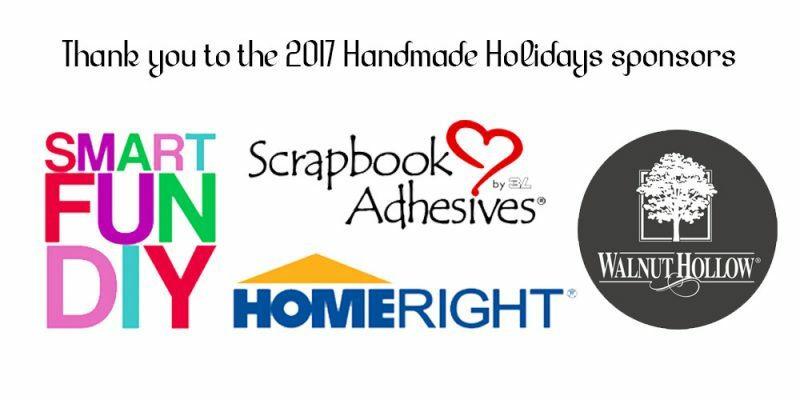 These new ornaments will touch two other ornaments, as well as the foam wreath, so you may want to add a dot of hot glue on all three surfaces just to be extra secure. These four “rows” of ornaments are the base of your wreath, and now it’s time to add more ornaments randomly all over the place to get the cluster effect! 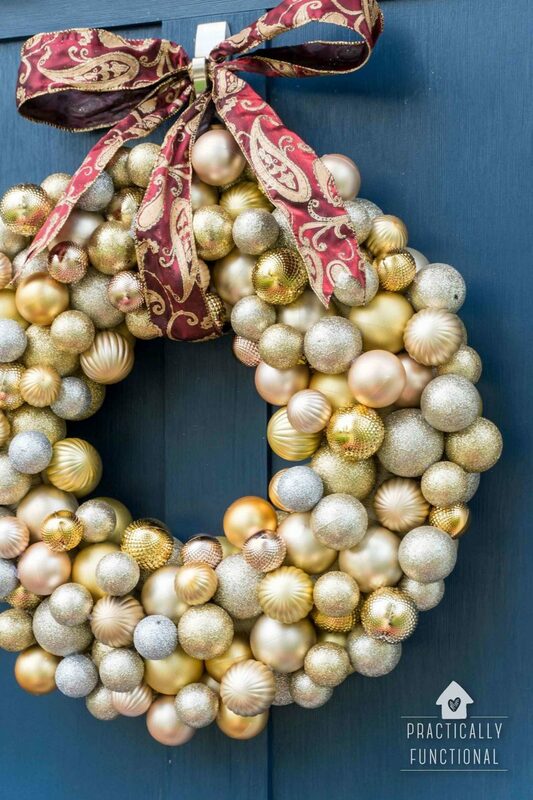 Fill in “holes” in the wreath with medium or small ornaments until you’re happy with how full it looks. Personally, I wanted a super big ornament wreath, so I did about three more “layers” of ornaments before my wreath was finished. 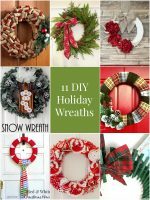 But you can just fill in the big holes with one or two layers of ornaments if you don’t want your wreath to be too bulky; it’s totally up to you! 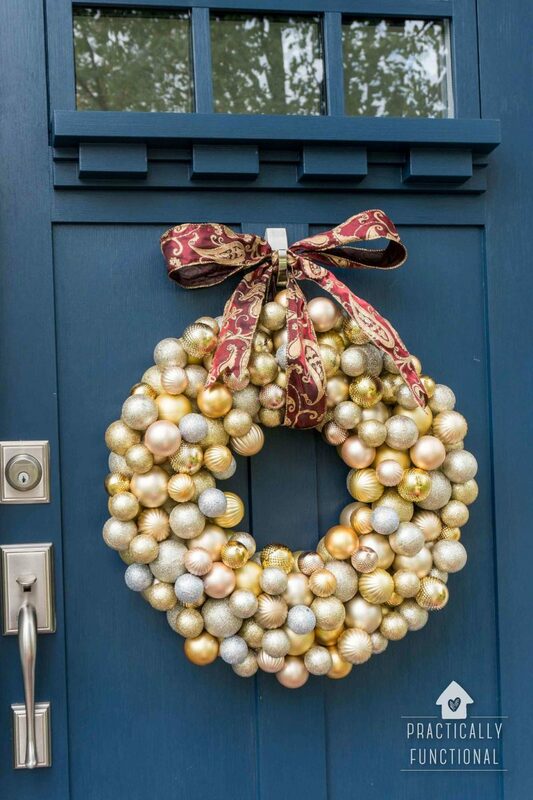 Wrap a sturdy ribbon around the wreath and tie a bow at the top, and it’s ready to hang on your front door! I really love how it looks on our blue door; so festive! Beautiful wreath! 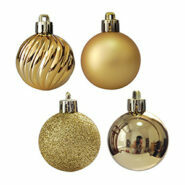 I love the mix of different shapes, colors, and finishes on your ornaments. WOW! Totally taking curb appeal to the next level! 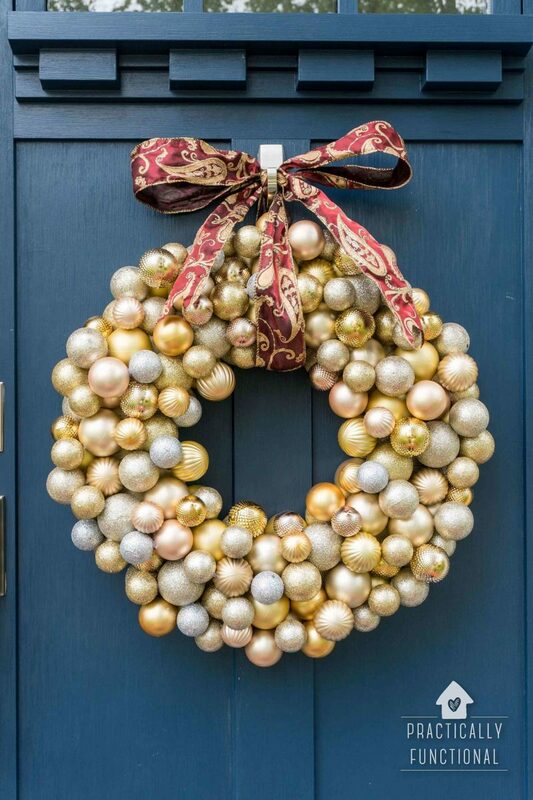 This wreath is just beautiful!